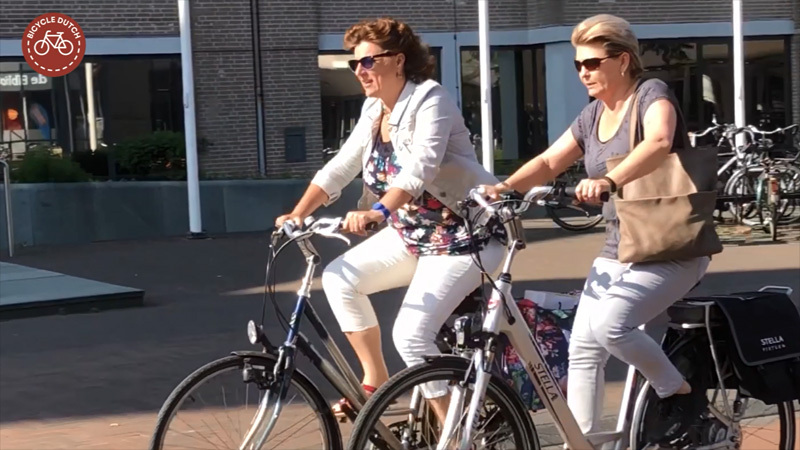 The town of Houten is the current titleholder in the biennial election of the “best place to cycle in the Netherlands”. The town won the election organised by the Cyclists’ Union earlier this year and in 2008 as well. Getting ready to cycle together. 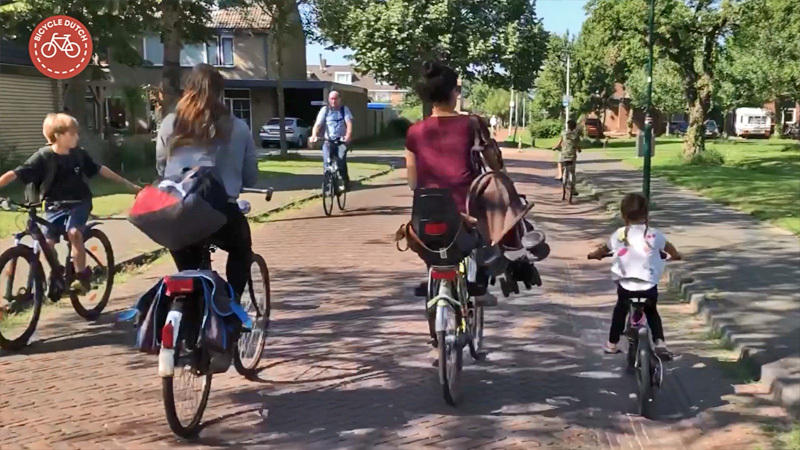 In Houten everything seems to be designed for cycling. But that was not exactly what was behind the original plans. The object was to design a liveable town that kept the quality of life of the original village, while at the same time fulfilling the obligation imposed by the national government to offer a lot of new housing for people who couldn’t get a home in Utrecht. It was visionary to understand that designing a new town where transportation by private car would be most convenient would not lead to that liveable environment. Making cycling convenient was not a goal in itself, it was merely a means to get to that liveable town. 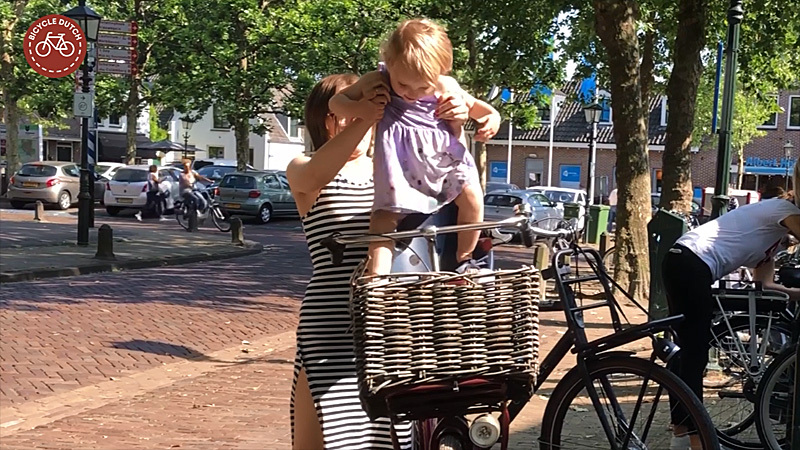 That cycling is a huge contribution to a more liveable environment is something that many have come to understand in the Netherlands now. But still not everywhere and certainly not everywhere to the same extent. 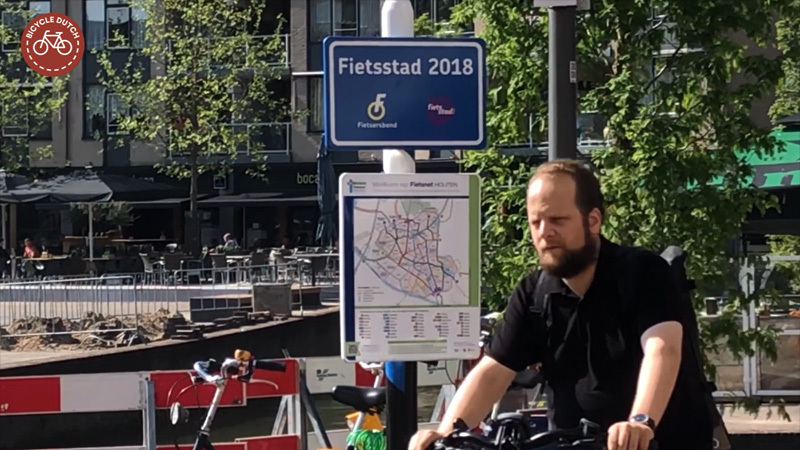 We see many regional differences in this country, when it comes to building an environment in which cycling is the natural choice for distances up to 10 to 15 kilometres. 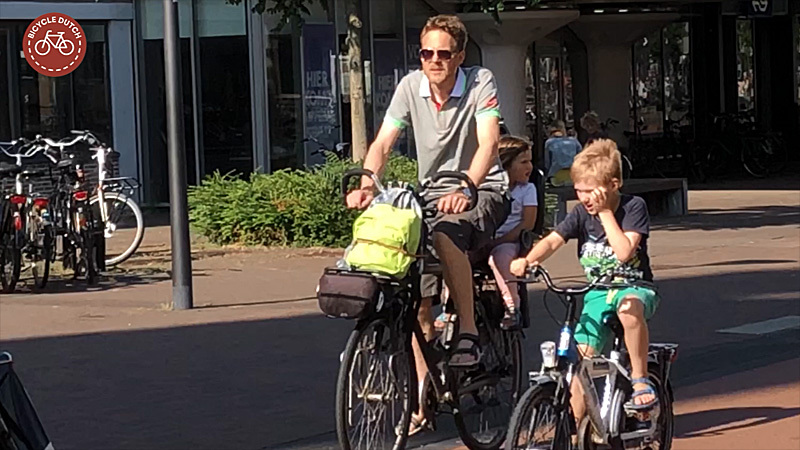 Fathers cycle with their children too in Houten. Need to wear a suit for work? Why would that stop you cycling? 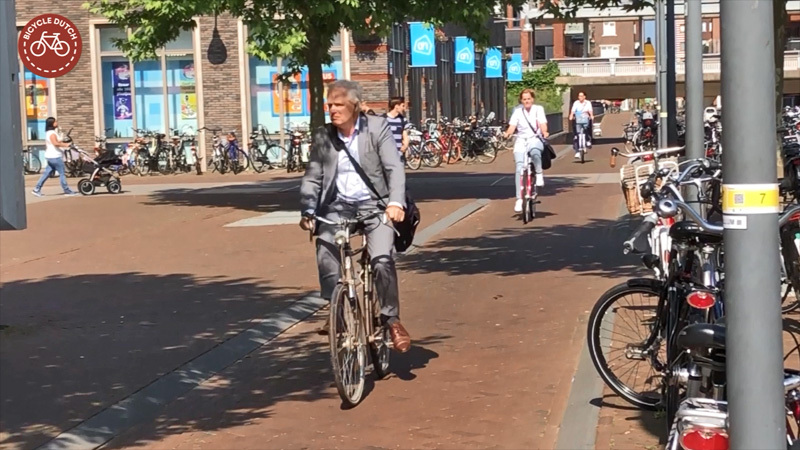 Men and women cycling in Houten. For work, for recreation, for shopping, for any reason. On the occasion of the award I made a portrait of the extraordinary town of Houten, but the award ceremony was in January! That means the images were of a town in the cold winter. It looks nice, but wait until you see the town in Summer! If this is what you would call a “busy street” in your town, you are doing something right! Girls from a young age cycle independently. Boys from a young age cycle independently too. 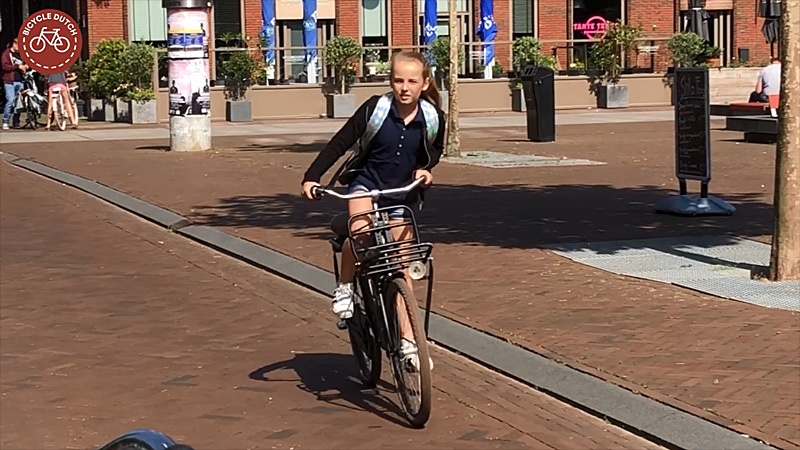 I recently made a video to announce that Houten will host the National Cycling Conference in 2019. I created a longer version of that video that you can now watch in this post. Your right wrist in plaster? No need to stop cycling, now is it? 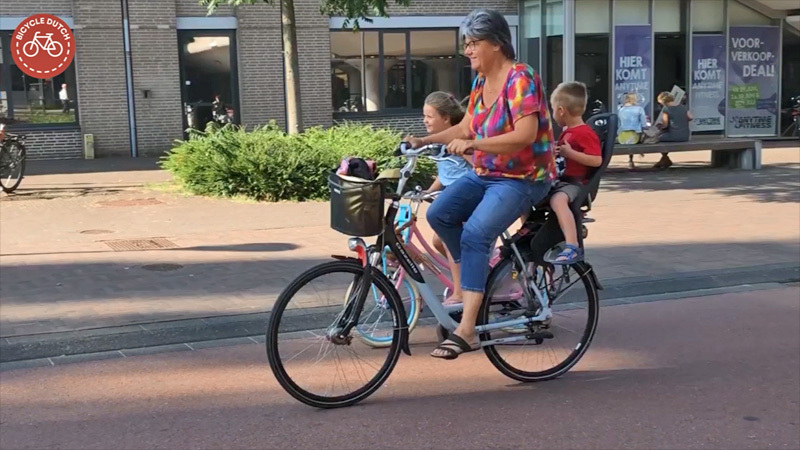 A fit grandmother with two of her grand children in the main street of Houten (that is car free). 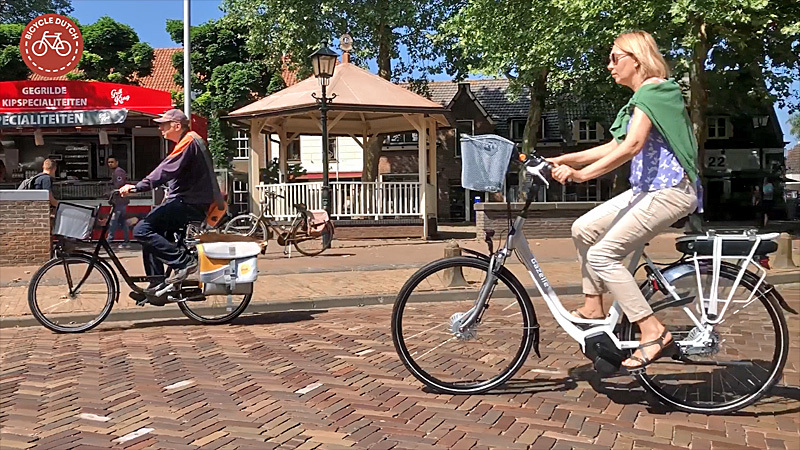 Houten in the sun, people cycling and enjoying that remarkably liveable town, that’s what this week’s video is all about! 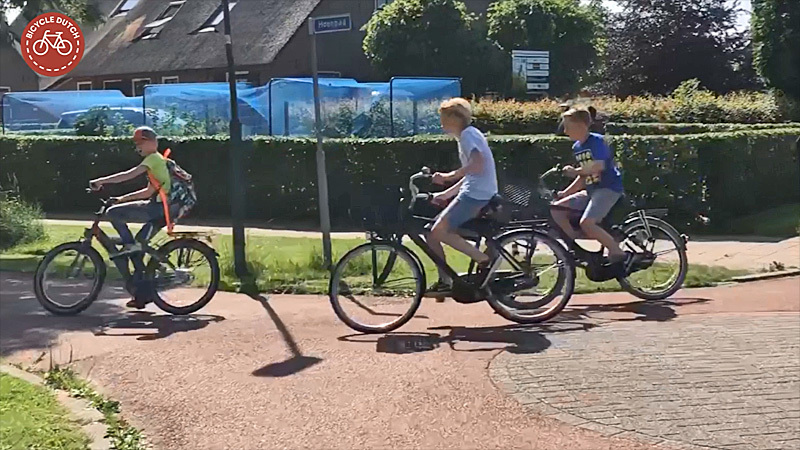 Cycling in Houten in the Summer of 2018! This is the second of three posts that will be published during my holidays. They are therefore a bit shorter than usual. I’ll say it again.. a most enjoyable piece of highly apt music. Yes. I can practically hear those pedals going ’round. 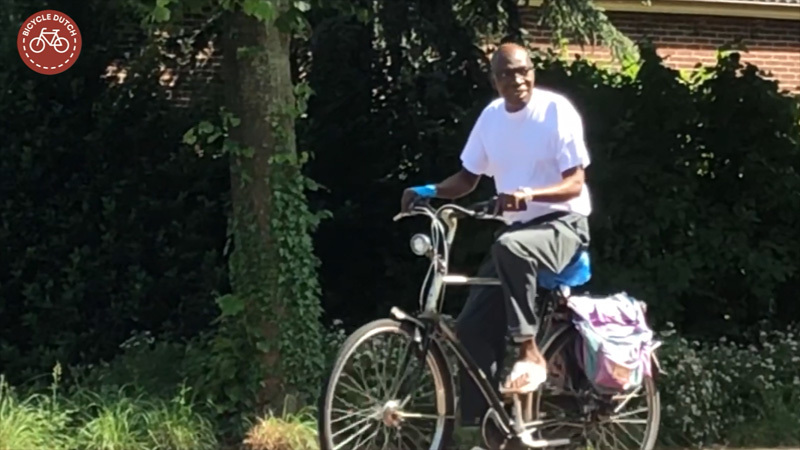 This entry was posted on 7 August 2018 by Bicycle Dutch in Original posts and tagged Houten, watching people cycling.